We are a living example of what can happen when the right people are in the right place at the right time fueled by a shared passion. An organization like the Colleagues of Calligraphy can take off and flourish, with hundreds of members bringing their common mission to life. The best calligraphers in the world, representing so many different styles and lineages, eagerly teach for us. 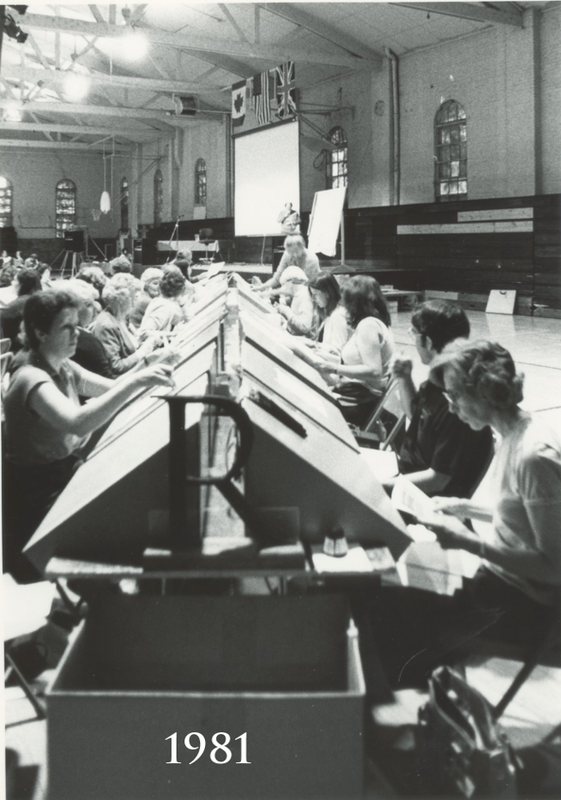 We hosted the first (and three subsequent) international calligraphy conferences – the International Assembly of Lettering Artists. We are bound to the history and development of The Saint John’s Bible: Charter member Jo White is recognized as the “mother of The Saint John’s Bible” and Honorary Curator of the Saint John’s University Calligraphy Collection. Charter member and world-renowned calligrapher Diane von Arx was among the artists creating illuminations for The Bible. Diane also designed and produced the donor volume, The Book of Honor, the eighth and companion volume to The Saint John’s Bible. Colleagues member Sue Filbin provided the typesetting for that BoH volume. 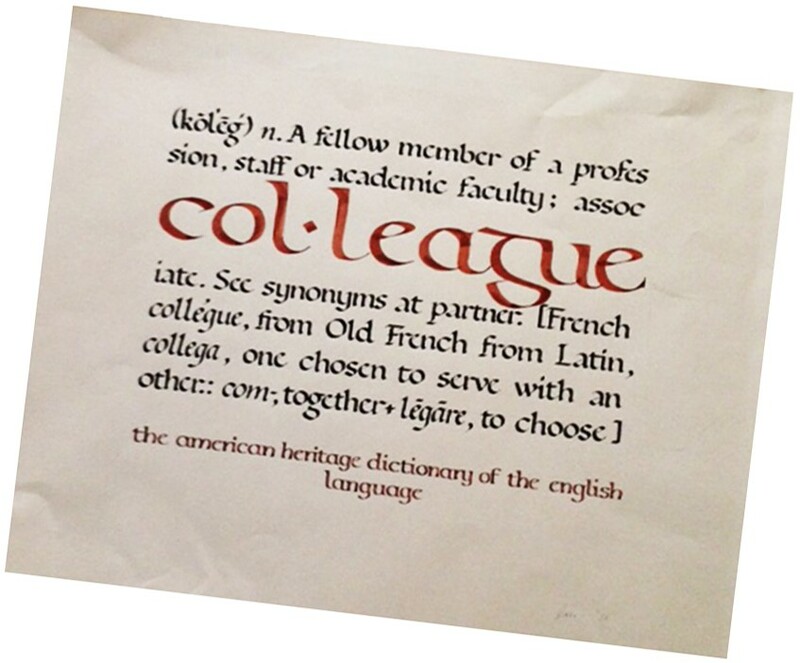 Colleagues members, both as a guild and as individuals, provided financial support to the project and, as sponsors for the first international lettering conference in 1981, provided the initial opportunity for Donald Jackson to connect with Saint John’s University. We subsequently hosted this conference in 1984, 1990, 2002, and 2009! We were the supporting organization and fiscal agent for the six-year run of The Midwest Art and Lettering Retreat. We have offered countless programs, workshops, study groups/meetups, exhibitions, private study opportunities, and more. The result has been widespread recognition of our organization as a local, national and international force for promoting and elevating calligraphy as a craft and art form. Our current membership includes calligraphers of all skill levels, and with broad interests, from the most traditional letter forms and tools to whatever pushes the envelope. At more than 150 members, we welcome everyone, from calligraphy newcomers to the most experienced professionals. Wherever you are on the spectrum of loving “the art of beautiful handwriting,” expand your calligraphy horizons with us! Welcome!